If your kids are anything like mine, the moment you start to talk, their eyes glaze over and you get that blank, fixed stare which means that their minds are anywhere but in the room where you are. After a while, you find yourself asking everyone the same rhetorical questions: "Do you understand? Are you paying attention? Do you know what I'm saying" And while the pharmacist and postal clerk may not appreciate what they see as your challenging their competence, you can't stop because it's a habit that has become ingrained by countless years of "Huh?" or "UmmmHmmm" or "Sure. Wait, what?" So, when Sir Talks A Lot started taking online courses and lecture courses, I soon discovered that he had no idea of how to listen. Worse still, he had no idea how to listen and discern important from trivial information. Listening is a skill which has to be developed over time. The good news is that with the right attitude and with a bit of practice, it gets easier to stay in the moment long enough to actually benefit from a class in a lecture format. Hopefully, these next tips will help. Have Realistic Expectations -- Some lecturers are brilliant orators whose words fall upon the ear like rain upon parched soil. Yet even these giants have off days. The reality is that lectures are not a laugh a minute, yet even the worst, most boring speakers can have something important to say. Look for the prizes in the Cracker Jack box, but don't ignore the popcorn and peanuts. ​Listen Actively -- It is easy to become distracted when other people are talking for a variety of reasons. First, you may have little interest in the subject matter and find that you drift off into your own thoughts. Second, you might disagree with what is being said and instead of listening, you think about all of your objections. Third, you might perseverate on a small part of what has been said or the way it was said to the detriment of the big picture. Save the Debate -- If you really disagree with something, rather than debating the point while you are listening, use your feelings as a motivation to listen more carefully so that you can argue the point (if need be) more effectively later. You can star, underline or write side notes to remind yourself to come back to the point later. Pay Attention to the Forest Not Just the Trees -- Sometimes a small point can be so bewildering, maddening or captivating that you stop and focus on that point alone and miss the other details which make up entire topic. This is another opportunity for you to use your notes as a prompt to come back to a point while continuing to focus on what you are hearing. Circle, star, underline or otherwise emphasize the point for later consideration and refocus. Diminish Distractions -- It should stand to reason that if you try to do two things at once, you end up with a high likelihood of each one being only halfway done. Those of us who like to multitask may have a tendency to try and listen to a lecture, read a book, have a conversation and write a list all at the same time. The problem is that learning takes a great deal of attention, so when our focus is split, we tend not to acquire anything new. So, it is helpful to know what kinds of things distract you and eliminate them from your environment. Some people find visual input distracting and need Spartan environments in order to concentrate. Others need absolute silence. Still others find that sensory input helps them to concentrate on the task at hand more efficiently. The bottom line is that you should customize your environment so that you can stay on task. Pick Out Patterns -- Another way to differentiate between information that is noteworthy and not is to look for patterns in what the lecturer tends to emphasize. If you are taking an anthropology course, for example, and the professor loves to discuss the anatomic differences between hominins, even if you find this information snoozemaking, chances are your professor will include this information on your exam. Spell You Later -- There may be those who disagree, but the main goal of taking notes s to find a way to retain information given to you from any source. In time-sensitive situations like lectures, it is more important to focus on getting the information down on paper than on spelling and grammar. Listen Once, Write Twice -- I used to treat my notes like these quaint little things I wrote to pass the time in class back when I was in school. It never occurred to me until the night before whatever exam that they could and should be tools for learning. There are a number of note taking methods detailed below; however, the most important issue is not how the notes are taken, but how they are used once they are taken. Summarize, question, embellish, rewrite. Meaning, return to your notes, engage with them and personalize them until you have a firm grasp either of the material or of the questions you need to ask to clarify your understanding. Write Less, Say More -- The enemy of effective note taking, particularly during a lecture, is time. 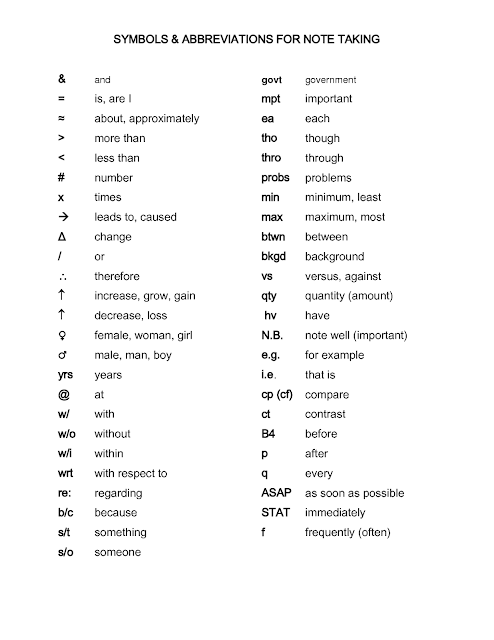 In order to expedite the process, use symbols and abbreviations. Some common ones are listed below, but you can also invent your own as long as you use them consistently. The outline method of note taking relies on establishing hierarchies of information with main topics, supporting details and supporting details for supporting details. Each level of information is differentiated by alternating systems of letters and numbers. While this method is extremely useful when you are reading an article or taking notes from a book, it can be harder to use in a class where you do not have time to organize precisely. 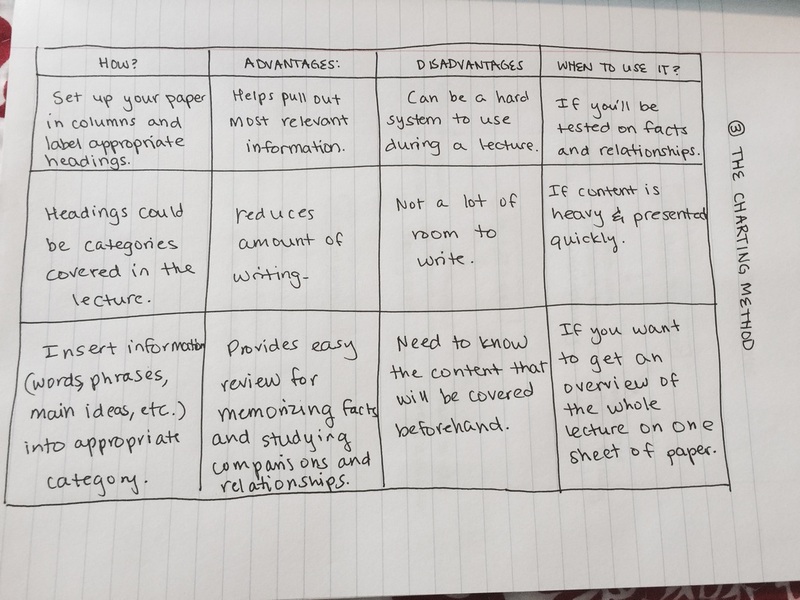 When lecturers use this format during their classes, identifying main and subordinate points, then the outline method provides a fast and natural-feeling note taking experience. 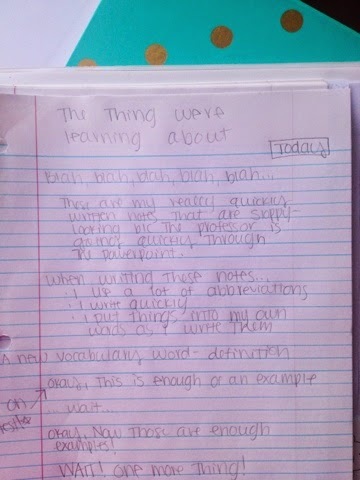 The list method of note taking is the most basic way of writing down information. In this method, each new point is written on a separate sentence and space between the lines indicates topic transitions. Numbers and symbols can also be used to increase clarity. The limitation of this method is that it can be difficult to discern which points are connected or dependent on one another. The strength of this format is that it is the fastest way on taking notes. 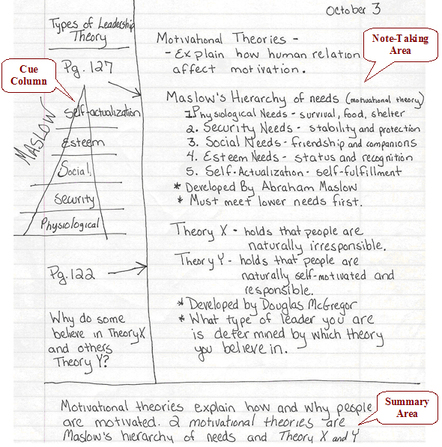 The chart method of note taking involves organizing information into shared categories using subject headers or titles. This method works best if you are organizing a number of facts which can be presented graphically: pros and cons, similarities and differences, dates/noteworthy people/events. The obvious limitation of this method is that the material you are learning may not fit into this format easily. 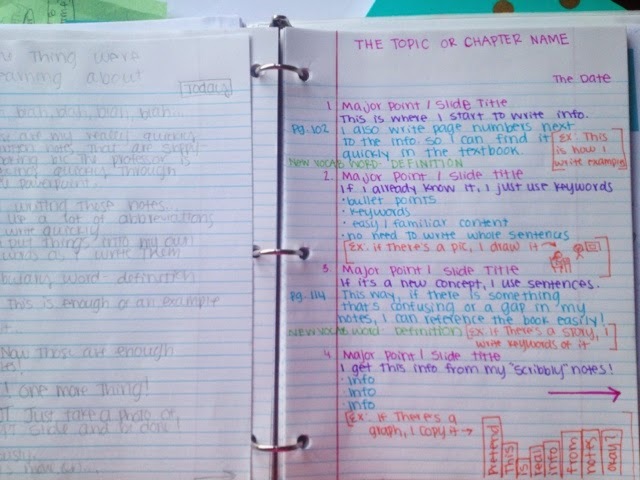 The Cornell note taking system is wonderful in that it allows the student to have clearly demarcated sites for asking questions and engaging with the material, writing down facts and details, and synthesizing the new knowledge by returning to what you have written and summarizing your understanding of the material. This system of note taking works best if you are a fast processor of information. If, however, you find it difficult to organize information on a page while remaining attentive to audial and visual input, then you might find this system overwhelming. The main advantage of this system is that it presumes that the student will return to the notes outside of class and, therefore, allows for the alteration of information. Many of the techniques which work for gathering information when writing papers also work as a method for taking notes. 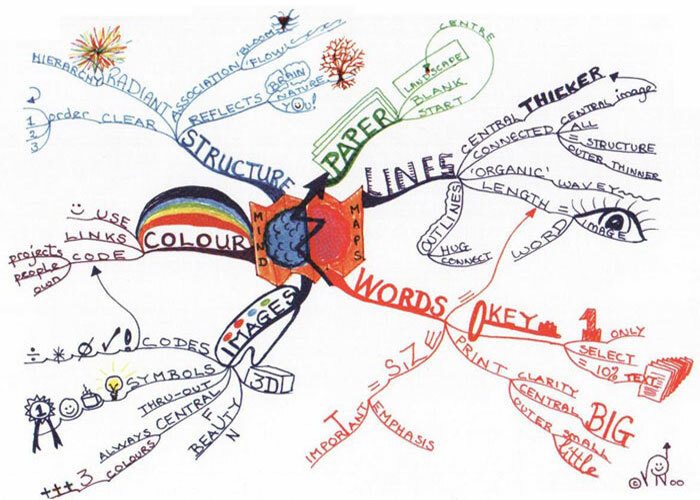 One of these is the cluster or mind map system of note taking. For those who derive order from chaos, this note taking method is suited for those visual learners who enjoy information spread across the page. As the name implies, one central idea or category is placed somewhere on the page, and information branches out from the main point in organized clusters. Like a visual outline, a cluster can use line weight, color, spacing and indentation and more to indicate the relationship between the levels of information. If you are a messy writer then this is probably not the system for you. You will find many people who believe that technological advancements which allow greater ease in note taking are the devil's playthings. They believe that the student's engagement with the material is dependent upon an interaction with a physical page. I believe that this superstition is based on a lack of familiarity with the technology. Ink Notes -- these pages mimic handwriting and can be generated via a stylus, finger or mouse curser depending on the device you are using. Notes can be shared so that others can alter them, exported, and saved. 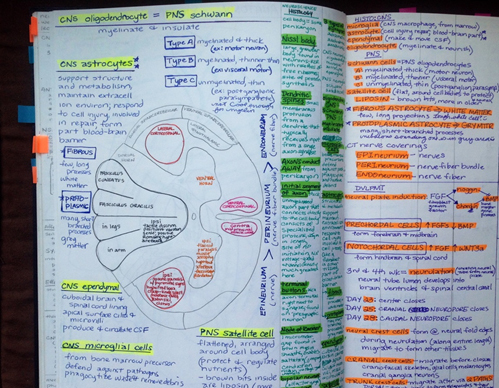 Once you have a number of notes, they may be organized as a group into a notebook. You can also label notes with tags so that they are easier to retrieve. Autosave is enabled for this program. OneNote -- If you use on of the more recent versions of Microsoft, then you have access to OneNote. It is extremely intuitive to use and, like Evernote, is highly versatile. In fact, this is Sir Talks A Lot's favorite tool to use while taking notes. It utilizes that same menu options as other Microsoft Windows products like embedding spreadsheets, adding symbols, and generating tables. You can use tags in OneNote and you can create notebooks to organize notes. In addition, you can sync notes across devices. Autosave is enabled for this program. 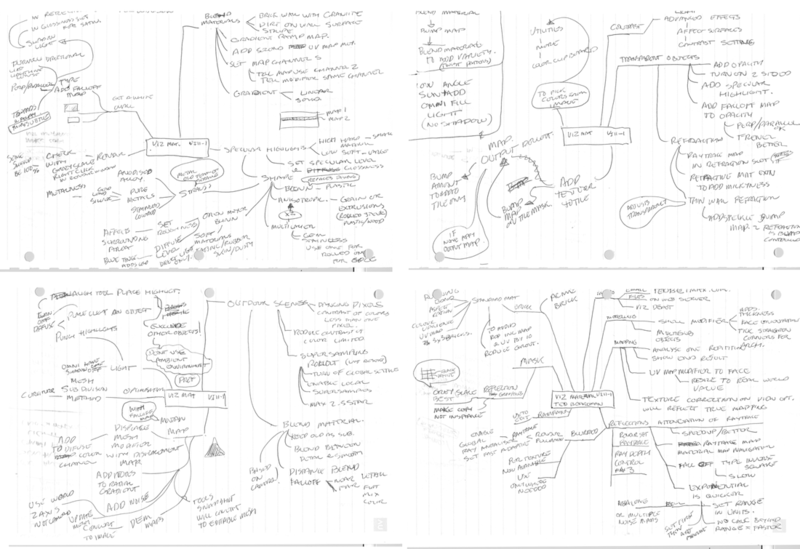 Notes -- My favorite part of the note taking screen is how easy it is to generate an outline. Simply by clicking on the indent button, you can change the level of your outline. As with Evernote, you may add tables, files, pictures, and links. There is also an option to add grid lines or notebook paper lines of varying styles. Ink Notes -- these pages mimic handwriting. Sir has found this particularly helpful when copying a drawing during a lecture. The program offers a wide variety of colors and a variety of pencil tip sizes to choose from. There is also a highlighter option which has the same flexibility. PowerPoint Slides -- Many professors use PowerPoint presentations as a part of their teachers. If your teacher shares these files with the class, you can upload the slides into OneNote and then use the handwriting features to annotate them. VideoNot.es -- If you view a video via this Google Chrome app, it opens up a page where all of the notes you take while viewing the video are synched with the time signature of the video. Works with Khan, EdX, Udacity, YouTube and more. 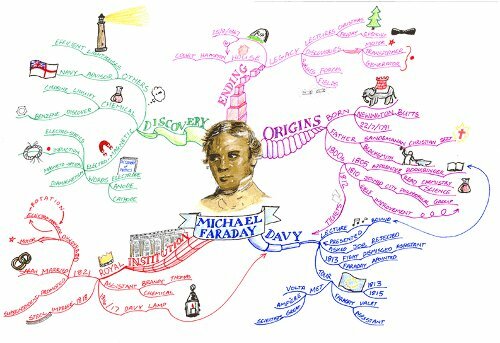 My notes were certainly never a work of art, but there is a movement to increase the visual appeal of notes as a way to ensure the student's involvement with the note taking process and investment in their educational value. The hope is that if students are allowed to personalize their notes in some creative way, they will retain the information more readily. Rather than note taking this process is more akin to note making. Often referred to as Visual Note Taking or Sketchnoting, this stunning notebook method makes art of note taking. Although there are those who claim that they can generate these stunning notes while listening to a lecture, it is more likely that these class notes are revisions of notes taken in other formats. The visual note taking system would work well, however, when students are taking notes from formats that they can stop and start like videos and books. Once you have all of those lovely notes, what then? How do you go about making them useful? In the note taking section, I have already stressed the importance of returning to your notes and interacting with them in some new way to enhance your acquisition of the information. Here are some helpful tips from the same source on how to study. Knowledge takes time to attain. I am unaware of a single baby who has stood up and walked like an adult on his or her first attempt. Instead, through a series of practice steps, the child becomes more sure and certain until s/he is walking like a boss. Studying is like that. It is the process of making and retrieving memories. Encoding -- Paying attention to the material so that your brain recognizes it as important. In other words, creating a short-term memory. Consolidation -- Converting a memory from short-term to long-term. Think of your notes as part of this process. The more input that your brain gets that a detail is important, the more likely that information is to be retained. Retrieval -- Using the information that you have learned. Think of it this way. Your bicycle helmet will do you no good if you store it on the top shelf of a musty old closet. You have to take it down and use it if you want it to protect your noggin. Otherwise, you might just forget where it is entirely.